Part Two of the series can be found here. The Star Wars expanded universe has one of the richest sets of stories and lore of any franchise in the world. There have been thousands of stories told in short stories, comics, and novels. Many of these stories are praised by fans, and some fans even favorite some stories and characters of the expanded universe over the those in the original films. Most of these expanded universe stories now fall under the “Legends” banner. The “Legends” banner was created after Disney acquired Lucasfilm, and is a category used for any stories that are no longer canonical. This was done in a move to give creative freedom for the new films and television series that were in development. Most books and comics published since that date are considered canon, including the current Marvel comic books. 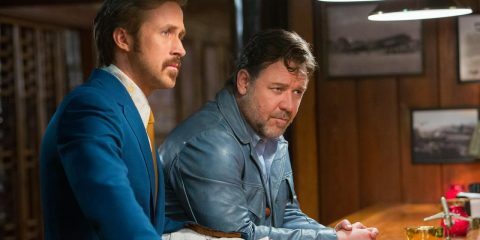 While many “Legends” titles are still in print, it is probably inevitable that many will fall out of favor for newer stories with characters from the new films and TV shows. It is unfortunate, but for many fans it is a breathe of fresh air. I’d like to share with you a list of individual novels and series that stand out in the “Legends” banner. I’ve chosen the titles on this list for their stories and for something unique they had to offer to the expanded universe. 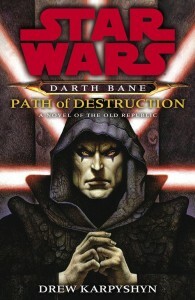 The trilogy focused on Darth Bane and his rise to one of the most powerful Sith lords ever. He was the only Sith survivor of a war between the Jedi and the Sith, and was responsible for creating the rule of two. The rule of two meant there was always a master and an apprentice to carry on the Sith teaching and plot their revenge against the Jedi in the shadows. The series covers Bane’s rise to power through his eventual death. First off Drew Karpyshyn knows his Star Wars lore. He was the senior writer for the Knights of the Old Republic video game, which is acclaimed for its immersive and amazing story. 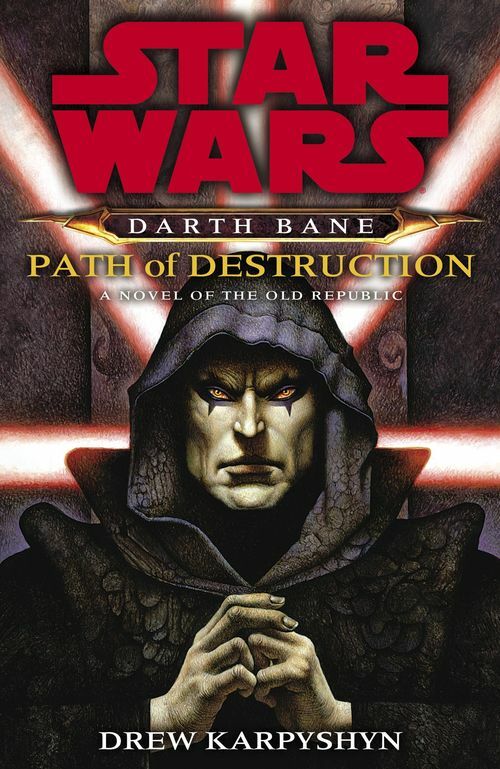 The Bane series is set in a different era than both the Old Republic games and the movies, gives a glimpse into a time when the Jedi order and Sith were something else entirely. 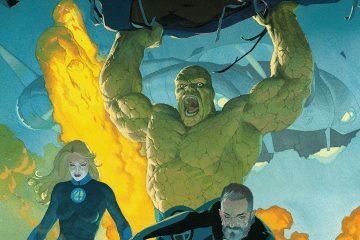 The setting also makes the series friendly to new readers who do not want to be bogged down by massive amounts of continuity and background knowledge, and just want to enjoy the story. It can stand on its own, and is one of the few Star Wars stories where the villain is the protagonist. All-in-all it is a fun read that explores a very important aspect of Sith (and Jedi) history. 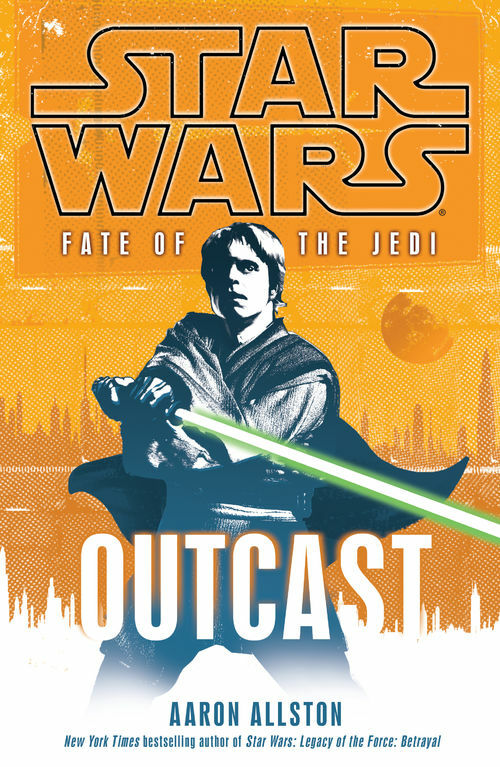 The series evolved in focus over each novel, but started by following an exiled Luke Skywalker as he journeyed to learn more about the force and users of the force that are not Jedi. As a new group of Sith emerged and Luke discovered answers that allowed him to return to the Coruscant, the focus shifted to a greater threat at hand. Faced with an ancient being wielding incredible force powers, Sith and Jedi were forced to temporarily join forces. The Fate of the Jedi series was the last big hurrah for the Legends timeline. It was a wonderful blend of philosophy, lightsabers, politics, and military action. The team at Del Rey worked hard to build a more connected Star Wars universe when they took over from Bantam in the late 1990s. This series is the culmination of everything they did, and unbeknownst to many it was the final big event of the old expanded universe. It tied together aspects of the force and Star Wars history from stories told thousand of years in the past, the movies, Clone Wars, and the Legacy comics (chronologically in the future). The series was followed up by the novel Crucible, and although there are things left open (future stories and series were cancelled with Disney’s acquisition), the series provides a nice cap to the expanded universe. Other Jedi, like Obi-Wan and Yoda, survived Order 66 and managed to escape and are on the run. Dark Lord took place right after Episode III. Darth Vader is still getting used to his life in the suit, but he must hunt down the remaining Jedi. 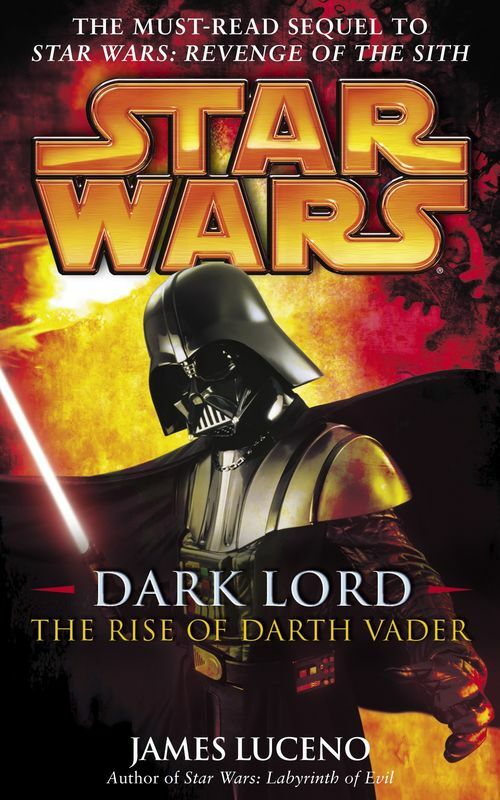 Dark Lord: The Rise of Darth Vader gives us a look into the inner struggle and turmoil of the newly turned Sith Lord. Darth Vader is coming to terms with his actions, and is conflicted in his thoughts. He hates the emperor for manipulating him, but knows this is the path he must remain on. This was one of the first looks into the mind of Darth Vader, and it does an effective job of making him a sympathetic character. With the release of Episode 7, I see a lot of parallels between Kylo Ren’s inner struggle, and the one Vader went through after becoming a Sith lord. There might be a pull to the light, but the more one pushes into the dark the smaller that pull gets. 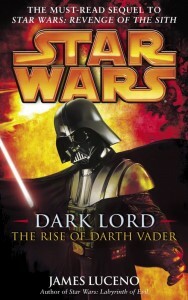 Fans of the Darth Vader comic by Marvel will most likely enjoy this novel as well. Luke Skywalker went in search of candidates to train for a new generation of Jedi. The spirit of an ancient Sith Lord is awakened, and the remnants of the Empire possess a weapon more powerful than the either Death Star. There were many stand-alone stories in the Bantam era of Star Wars novels. There were a few series as well, but many of them are forgettable. 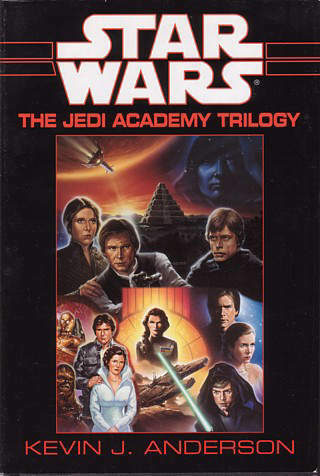 Anderson’s Jedi Academy Trilogy, along with Zahn’s Thrawn Trilogy, was one of the pillars of the post Return of the Jedi expanded universe. The characters, events, and especially the effects of the story on the greater universe played an active role in shaping the expanded universe. 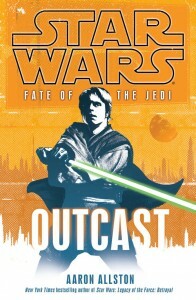 Although it is such and important part of the expanded universe, I do not think I can rate it much higher on the list. My description of the story does not do a good job at selling it either. Anderson uses too many clichés and tropes in his stories and lacks the subtlety to transfer a really good story into something greater. It is in no means bad, and was one of the essential reads for anyone that wanted to know all about the expanded universe. The lasting impact that it had on helping to shape the expanded universe is why it is up higher on this list. Invinsible is the conclusion to the “Legacy of the Force” series. It includes the final confrontation between the Jedi and Darth Caedus’s forces. Luke Skywalker is clearly more powerful that Darth Caedus (he once force pinned him to a chair without as much as raising a hand), but he’s already taken action out of vengeance for the loss of someone special to him. 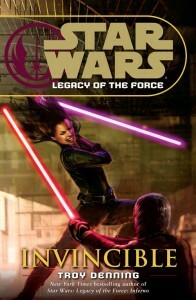 Jain Solo, the sword of the Jedi, is the one that steps up to take Caedus down. Whether coincidental or by design, there are some parallels between the “Legacy of the Force” series and Episode 7. For those interested in speculating and theorizing about the upcoming Star Wars films, this series is one to check out. Why I chose Invinsible over the series as a whole was because of the emotional impact of the final entry in the series. 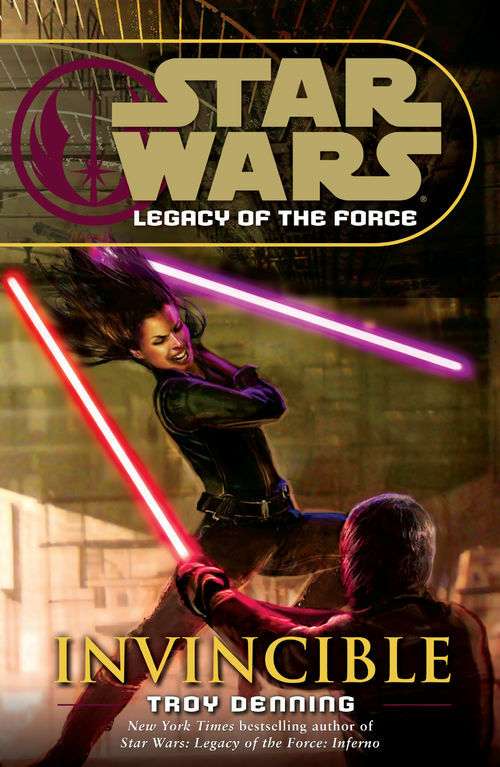 It is a bittersweet victory, and the final confrontation between Jaina Solo and Darth Caedus is one for the history books. I love seeing Luke as the mature, extremely powerful Jedi Grand Master, but Denning made the right choice by not using him to directly solve the galaxies problems again. Part Two of the series can be found here. What titles do you think will be in the top five? What are your favorites?